EURUSD is moving horizontally in low rates due to the Trump’s victory. 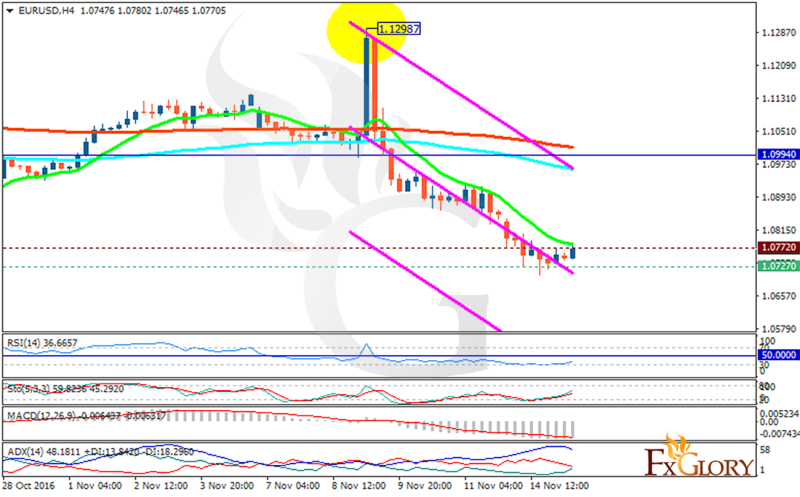 The support rests at 1.07270 with resistance at 1.07720 which both lines are below the weekly pivot point at 1.09940. The EMA of 10 is moving with bearish bias and it is below the EMA of 100 and the EMA of 200. The RSI is moving in oversold area, the Stochastic is showing upward momentum and the MACD indicator is in negative territory. The ADX is not showing any clear signal. Considering the downward scenario, the pair will target 1.0650 however the resistance level breakout will start the bullish bias targeting 1.0850.